While the roots of Indianapolis’s musical heritage trace back to the region’s earliest inhabitants, there is no question that performing arts, as we know them today, were boosted by an infusion of German immigrants that escaped the various European revolutions in the 1840s to settle in Marion County. Germans, who would comprise 25% of the city’s population by the 1890s, brought with them a traditional continental music training previously unknown on the Midwestern prairies. Traveling musicians visited the “capital in the wilderness” as early as the 1830s, and the first piano appeared on the scene in 1831 — as a gift from a Mr. James Blake to his wife who gave private concerts in their home. But, the first official Indianapolis band (the first such group not associated with church services, that is) was formed by German immigrant, Abraham Protzmann in 1840. That initial group faltered along for about five years until it was replaced by a German military band which also tanked a few years later. By the mid-1800s, however, Indianapolis had gained quite a large contingent of musical instructors, or “professors,” (More Germans! … Bahr and Weegman playing Haydn, Handel, and Beethoven) who promoted their private schools with small musical soirees in their homes, or by traveling around the region with their repertoire. After the Civil War, interest in the musical and performing arts exploded — even becoming part of the curriculum in the city’s public schools. The 1860s and 70s witnessed the emergence of competing philharmonic groups and an profusion of civic organizations that nurtured and supported the arts. In 1895, another German immigrant, Karl Schneider, established the first group to call itself the Indianapolis Symphony Orchestra (ISO). Though it performed for 10 years, it’s not considered the predecessor of the current ISO. 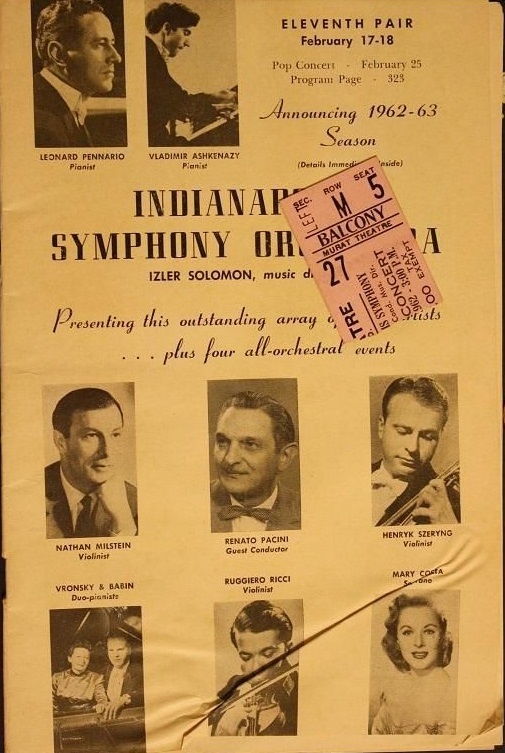 The Indianapolis Symphony Orchestra as we know it today, was founded in 1930 by German-born conductor and local violin teacher Ferdinand Schaefer. The organization was, at first, comprised of volunteer musicians who could occasionally split the revenue from ticket sales. 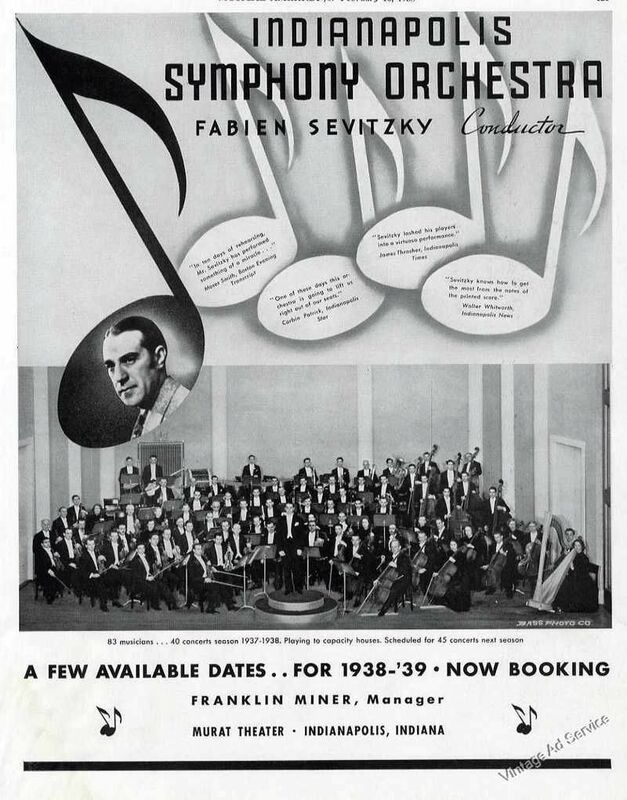 In 1937, the ISO became a professional orchestra with salaried musicians and a conductor (Russian-born Fabien Sevitzky). Quickly, the ISO blossomed into one of the nation’s most renowned orchestras. 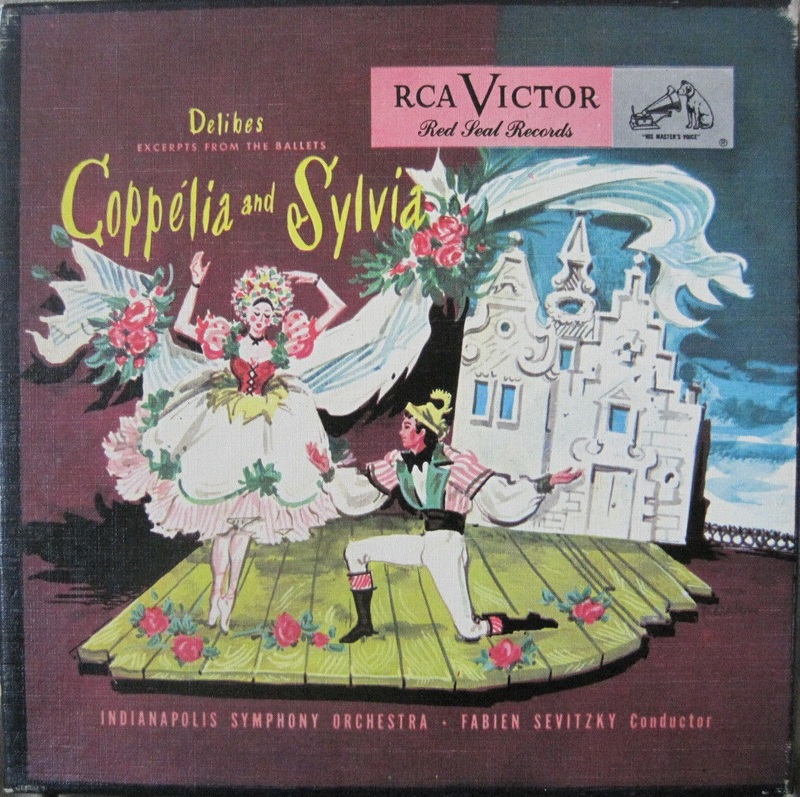 Rare Box Set of “45s”.. Dlibes Excerpts from the Ballets “Coppelia and Sylvia.” Indianapolis Symphony Orchestra with Fabien Sevitzky as Conductor. Program from the Murat theatre issued for a two-day “pop concert” by the Indianapolis Symphony Orchestra on February 17-18, 1963. Today, the ISO is the largest performing arts organization in Indiana and performs hundreds of concerts every year… including many… quite literally… on the prairie. Have you or a relative performed with the ISO? What are your favorite recollection of ISO performances? 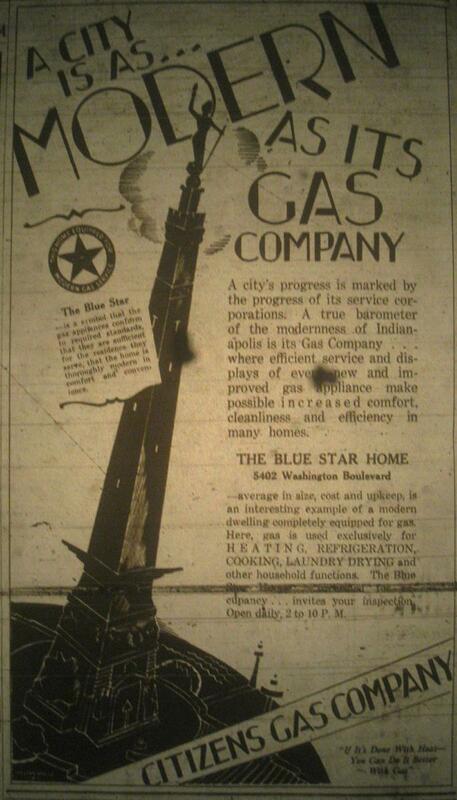 Resources: Indiana State Library vintage newspaper collections, The Encyclopedia of Indianapolis (Bodenhamer and Barrows), the Indiana Symphonic Orchestra, eBay. 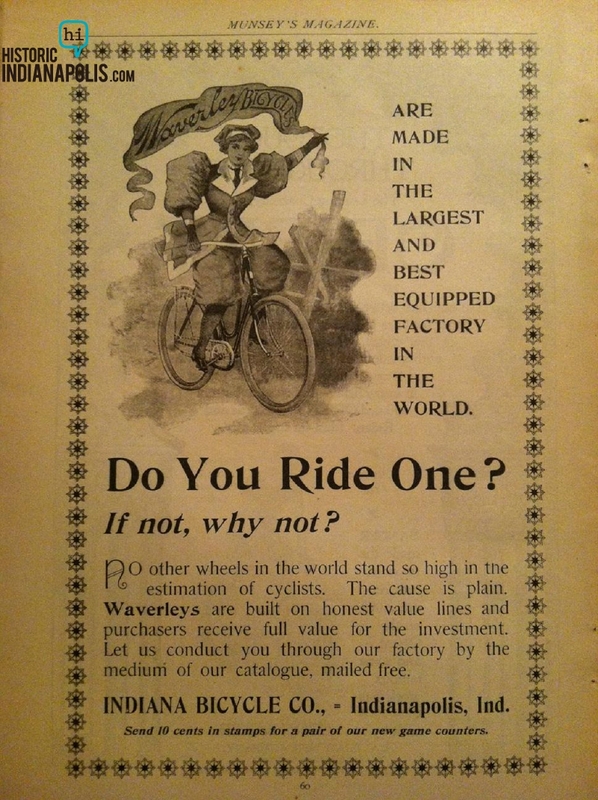 Sunday Advert: Do You Ride One? Lisa, I would like to invite you to visit the Indianapolis Liederkranz some time. We are a German singing society founded in 1872 by some of those German immigrants. I’ve given you our web address above. We have several old pictures of both our choir and some others that may interest you. Our address is 1417 E. Washington Street. The Liederkranz was founded as an all male choir, and in 1996 an all female choir was started. We still sing mostly in German. We rehearse on Wednesdays (ladies at 7:00 and men at 8:15. Our next function is our Oktoberfest on October 11th and our next concert is on October 25th. I am the President of the Liederkranz and my wife is the choir director. Cliff, thanks for reaching out! As I was researching the ISO article I noted a brief mention of the Liederkranz and wondered about it. It’s impressive that the society has endured since 1872. I’ll contact you soon to learn more about the history of the group. My favorite times with the ISO were the Music Memory contests. We spent weeks in elementary school listening to records with prechosen symphonies over several weeks. We needed to memorize their names and composers and be able to identify them on quizzes and a final test. Older students who had aced the quizzes we were given had the privilege of taking the final test in Clowes Hall with the ISO playing the pieces live. I remember having that honor and taking my test in a brand new Clowes Hall in the first year that it was open. 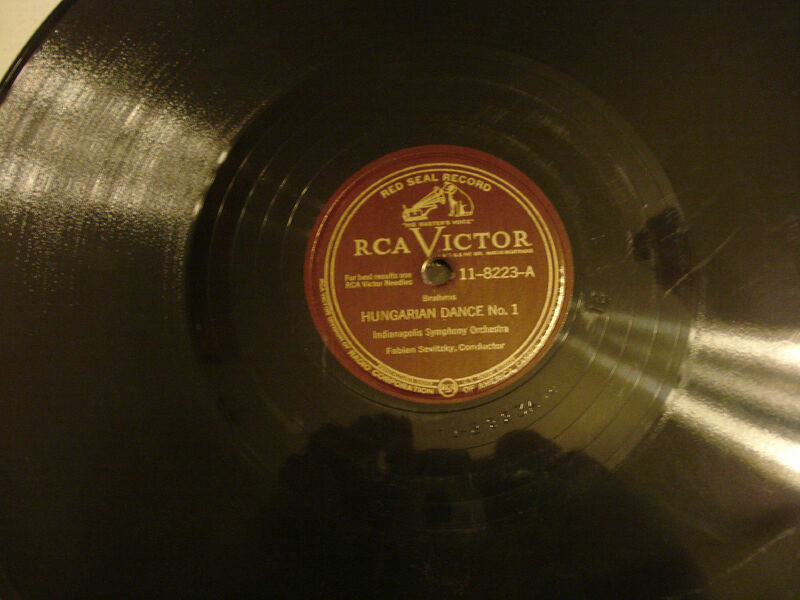 My grandfather Arthur Deming was the flutist and librarian for the ISO under Schafer and Sevitzky. I am working on building up a collection of ALL recordings, and currently only lack a few – Kalinnikov Sym #1, Grieg Prelude and Intermezzo from Sigurd Jorsalfar Suite, Dubensky’s Fugue for 18 violins, Liadov’s Baba Yaha, and Sgambatti’s Vecchio Minuetto. I have old photos, autographed albums, many old recordings in different formats and many old programs. I even have some unreleased radio recordings (don’t ask). I would love to have any others and will share. I even have a Martin T-28 Tiple that he used apparently. Even though he was a flute player. Not sure about what that’s about but it also looks unplayed. 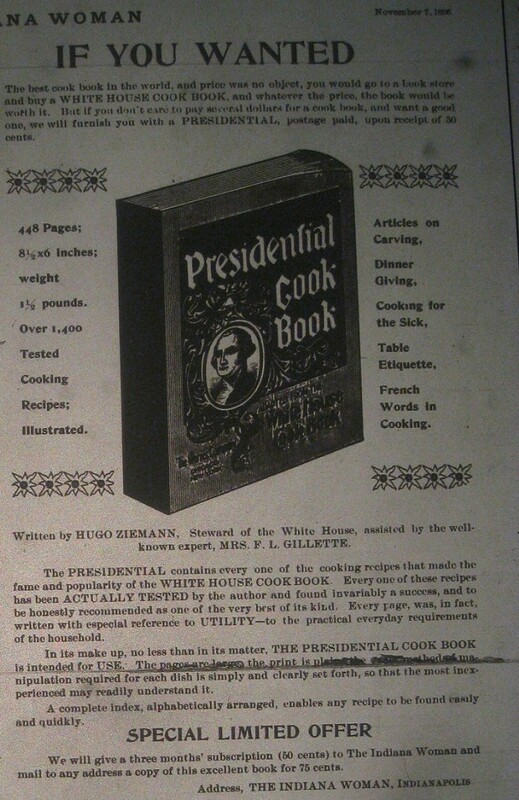 It’s from 1925, rosewood inlay, and may be the oldest and finest existing in the world. If you have an ISO recordings (or other things of interest from the earliest days to the 1940’s) please email me at Graysailor@gmail.com!